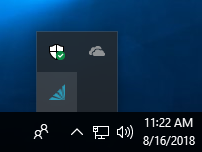 To restore a Spire dataset go to the Spire tray icon on the server. You will need to log in using the Spire admin password that was created when installing Spire server, or with any other admin password that was created in Spire 3.0 or greater. After login you will get this screen. When the company list is displayed, select add, and then ‘Add Existing Company’. Browse to where the snapshot of the company is saved, give it a unique database name, select your snapshot intervals and click OK. If the company that is being restored already exists then select a different name. In this example we are selecting a year end backup so we appended YE2015 to the end of the name. Interval – As this is a database that was not previously on the list the snapshot intervals must be setup. 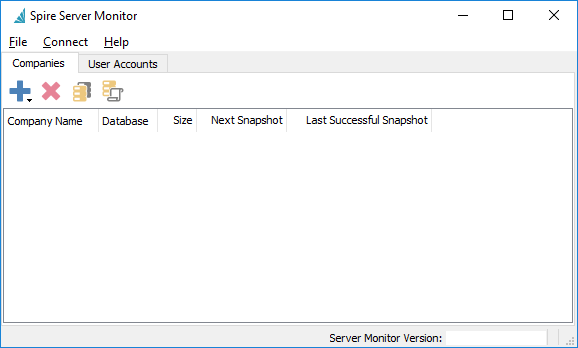 Next Snapshot – Displays when the next snapshot will occur. #Snapshots – How many snapshots to save. *Warning – If the data restored is given a different name than originally then the custom reports will not be available. The custom reports are stored in the folder C:\Programdata\Spire\Reports\DatabaseName, where Database name is the one assigned in the Spire Tray. Once data has been added then on the user tab you can see what companies the user has access to. This is a read only list that is configured when logged into a company.